In post-war Tokyo, two men, Akio Morita and Masaru Ibuka, formed the company that was to become one of the greatest of the 20th century - Sony. John Nathan tells the story of how a small family business became a multi-national, whose products are sold throughout the world. In the wastelands of post-war Tokyo, two men, Akio Morita and Masaru Ibuka, formed the company that was to become one of the greatest corporations of the 20th century. In this text, John Nathan tells the story of how a small family business became a multi-national with a turnover of billions, whose products are sold throughout the world. One of Sony's greatest early achievements was the Trinitron colour television - by 1998 180 million had been sold world wide. Over the years Sony took recording into the digital age with the compact disc, transformed the way music is listened to with the Walkman, and redrew the computer games market with the Playstation, among many other successes. 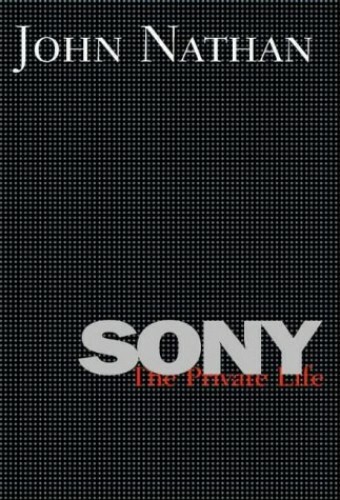 Sony matched its revolutionary technology with revolutionary methods of marketing - it was one of the first corporations to embrace globalization. So began a dramatic clash of two cultures, one rooted in Japanese native tradition and the other irreconcilably western.